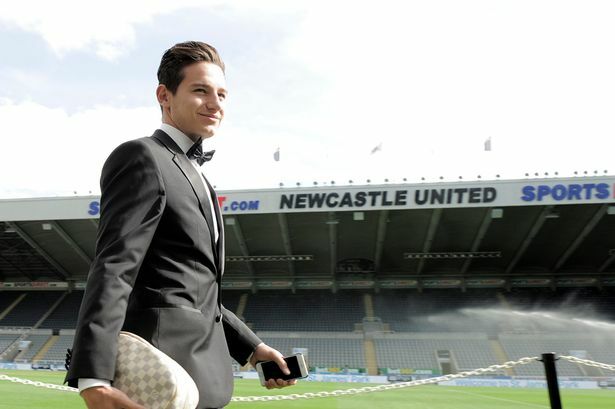 Marseille have just announced the official permanent signing of Florian Thauvin for £10 million which tops up our 2016 transfer money received to a cool £100 million bag your £20 Free Bet AND Free £5 Bet every week with TheGingerPirlo.com Exclusive Partner William Hill HERE! Sissoko, Wijnaldum, Townsend, Janmaat, Cisse, Cabella and now Thauvin have all signed for other clubs since pre season to take the edge off relegation and missing out on Premier League money. Throw on top Steven Taylor’s £40k and Coloccini’s astronomical £75k a week has also been stripped off the wage bill, it’s not been bad business at all. We have obviously invested a lot of that money back into squad with Ritchie and Gayle having decent size fees but investing it wisely has been the real genius behind our transfer work. Promotion back to the Premier League looks well on course with a squad full of depth with quality in every position. Gayle out injured? Mitro will come in with a brace. Diame dropped? Perez will come in with a brace. Ritchie out? Atsu will come in to score a winner. Anita or Yedlin. Clark or Mbemba. Hayden or Colback. The list goes on. In fact, our squad is so deep we have hardly seen the likes of Lazaar, Hanley or Murphy. All full internationals when fit. Amazing for a Championship club. Selling off the players that didn’t care about out football club or were just expensive dead weight is the easiest £100 million we have ever made. Did you see £30 million Sissoko’s performance for Spurs in the Champions league on Wednesday? Embarrassing. Follow me on Twitter @ToonBano and don’t miss out on your £20 Free Bet AND Free £5 Bet every week with TheGingerPirlo.com Exclusive Partner William Hill HERE! Newcastle Winger Set To Sign For Another Club In January? Yoan Gouffran has been on fire this season. Our record with him in the side so far reads zero losses. Zero. This form has brought the attention of clubs around his native France, specifically Lille, as unfortunately for us his contract is set to expire at the end of the season. So with this, he can sign for any foreign club on a pre-contract in January and leave for free in the summer bag your £20 Free Bet AND Free £5 Bet every week with ToonBano.com Exclusive Partner William Hill HERE! So Newcastle may even take the opportunity to sell him in January and get some money out of him. This is highly unlikely however as promotion is the be all and end all this year, so a million or two for him wouldn’t do us any favours. Especially seeing how indispensable he is all of a sudden…who would have thought it?! When he lost his squad number to Matt Ritchie before the season started, the writing looked on the wall for him to be on his way out. The determination he has shown to not just play his part in the squad but make the left wing position his own has been great to see and totally unexpected. Fair play to him. Follow me on Twitter @ToonBano and bag your £20 Free Bet AND Free £5 Bet every week with ToonBano.com Exclusive Partner William Hill HERE! Author The Ginger PirloPosted on November 2, 2016 Leave a comment on Newcastle Winger Set To Sign For Another Club In January?